Well, color me disappointed. Even though I recently managed to save up 810,000 British pounds so I could buy a Pagani Huayra (I moonlight as a gentleman art thief in the UK when I'm not working for Jalopnik), the car is now out of my price range as it has jumped up to 1,029,430 pounds. Blimey! To put that into terms Americans can understand, the car started out with a price tag of $1.2 million and now it costs over $1.5 million, according to evo. No word on whether our expose into its Top Gear tire scandal had anything to do with this. 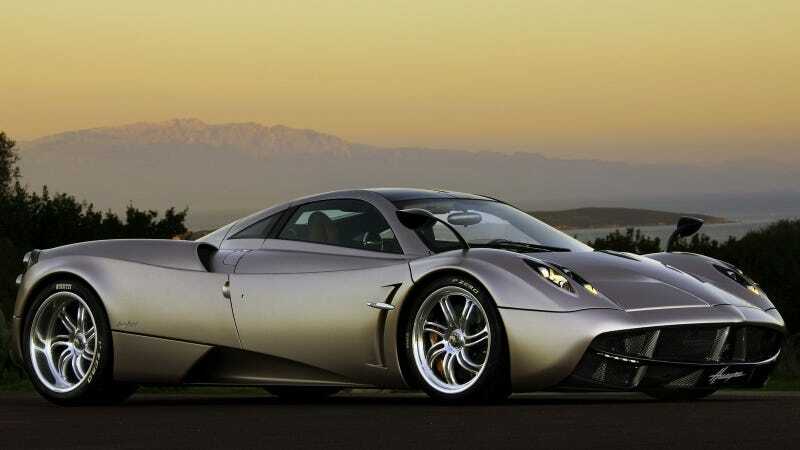 That makes the Huayra more expensive than the upcoming McLaren P1 (£866,000, or about $1.3 million), and that's before you start adding on goodies like a carbon fiber body, a track pack, and a cassette player. But somehow, it's still cheaper than the Zonda 760RS was! What a giant letdown. I guess I'll have to steal more art.